The postcard above shows the north end of Old High Street, looking towards St Andrew’s Road. It is postmarked 1907 and dates from soon after 1901, when the Baptist Chapel on the left was built. On the right is the Priory. 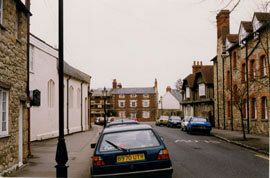 The modern picture on the left is already becoming historic, as the Baptist chapel was demolished in 2004. 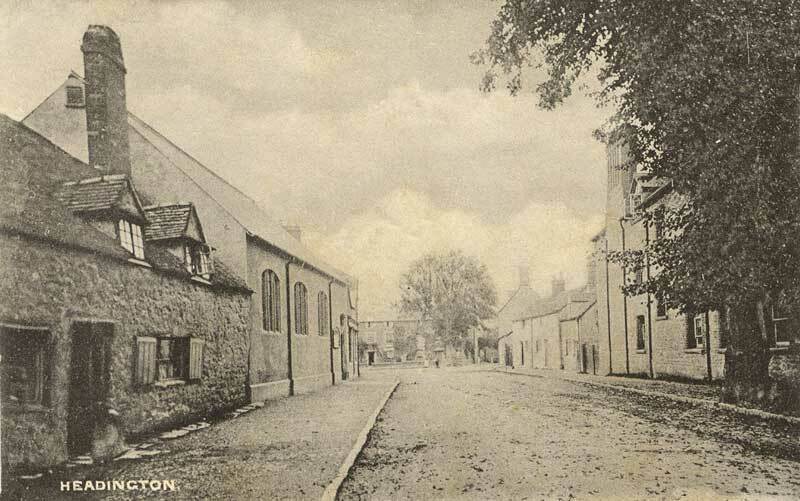 At the front left of the old picture is a good example of the kind of picturesque but tumbledown cottage that people were very glad to abandon for New Headington: this one was demolished in 1916, and the site purchased by the Baptists next door. On the opposite side of the road the Priory (then known as the Lindens) was still a private house. Next door to it are Linden Cottages, which were demolished in 1908.